Travelers to Kyoto know there is one place every guidebook recommends. 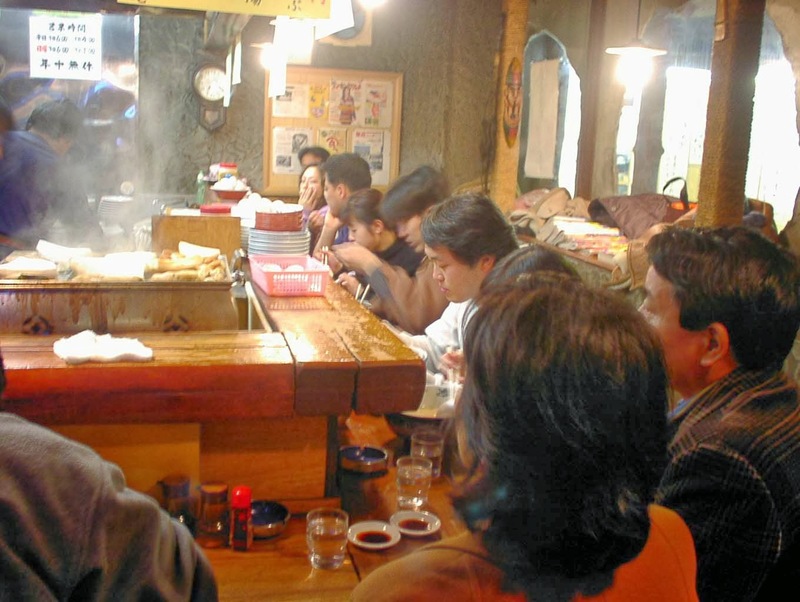 Gogyo near the Nishiki food market made a name for itself by inventing the kogashi (burned 焦がし) ramen. Its secret? Adding charred pig fat to the soup base to give the ramen a unique smoky flavor. Critics have given it mixed reviews: while some are blown away by the burned soup, others find the restaurant more a tourist destination than a culinary Mecca. 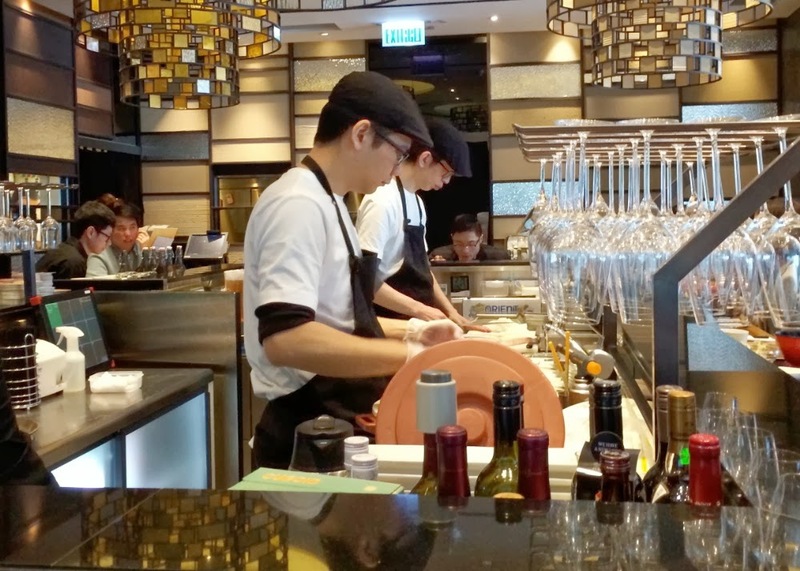 Cashing in on the ramen craze in Hong Kong, Gogyo, which is owned by the Ippudo group, came to Hong Kong last December. 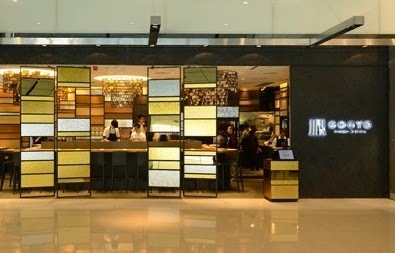 It took the space at the IFC Mall previously occupied by another ramen shop which no one seems to remember or miss. Gogyo Hong Kong has gone high-end, evidenced by its gold-and-silver décor designed by Japanese firm Glamorous (which also did the W Hotel in West Kowloon). It is an unusual choice for a ramen shop. 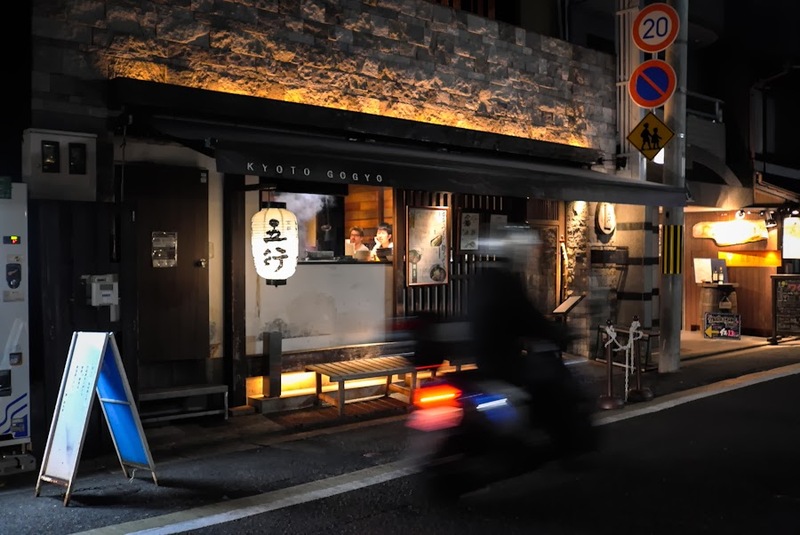 The layout lacks the small town coziness that ramen lovers have come to expect from a Japanese noodle house. Sitting around the kitchen sink on a barstool makes it feel like being in a cooking class or an airport lounge. Indeed you would be wise to heed the warning and choose something else. To be fair, the other soup bases are not bad. The problem, however, is that ordering something other than the kogashi broth defeats the purpose of going to Gogyo in the first place. The ramen shop will go down in culinary history as the first restaurant that tells its customers to stay away from its signature dish. It is truly a remarkable thing. Japanese ramen is a reinterpretation of the Chinese noodle soup. It is a street food and a comfort food. It is a perfect lunch solution for time-pressed salary men and women and a welcome treat after a night of heavy drinking. At any given noodle house in Japan, hungry customers grind sesame, crush garlic and mix pickled vegetables. Noodles are not eaten but slurped; the soup is not drunk with a spoon but chugged down with both hands lifting the bowl. 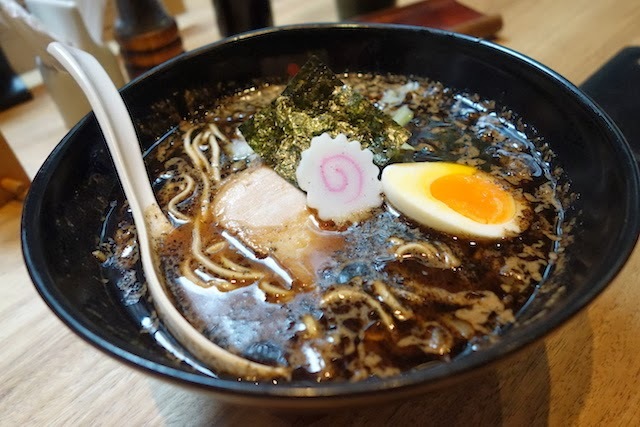 Over time, however, ramen has become a national obsession, as one noodle chef tries to outdo another with a superior recipe. The quest to find the best ramen in town has gone out of control – the essence of simple noodle-making is lost; hype and gimmick have taken over. But no matter how adamantly some people argue otherwise, noodles are just noodles. If prepared properly, all ramen should, and probably do, taste the same. And so for all the ramen chasers out there, stop looking and just go to Ippudo or Butao. These places are good and they are good enough.